Capitalists On The Way Up; Socialists on Way Down. During Crises, Balance Always Tilts Toward Gov't. Many are finding it hard to make merry in the aftermath of this year’s financial crisis. Collateral damage from the crisis is extensive—unemployment is rising in the US, exporters are hurting in emerging markets, global stock markets are depressed, and each day seemingly brings new cries for government help from struggling industries. Some see these effects as proof of capitalism’s failure. After all, this year saw the crumbling of a financial nucleus under its own weight, necessitating the US government to rescue the few straggling survivors. 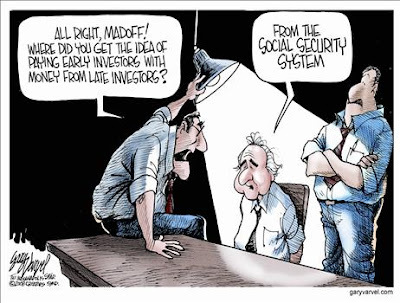 Capitalism, it’s argued, encourages greed and self-interests above the public good (Madoff is a “shining” example), and the solution is government and regulation. But will larger government and more regulation help? History shows regulation does little to curb excesses. This is because excesses exist not because of the capitalist system, but because they are perpetuated by the participants. No amount of tinkering can regulate innate human characteristics. There’s an old saying: “Everyone’s a capitalist on the way up and a socialist on the way down.” People want it all—to reap the benefits of free markets, but be protected against any downside. Capitalism won’t abide. And that’s a good thing. It’s a system of inherent checks and balances, which can be swift and brutal during the pruning process. In rough times, we seem willing to sacrifice free markets’ benefits for perceived security from this process (investors accepting 0% return on Treasuries is a recent example). Still, if free markets were restricted, what would happen to those checks? 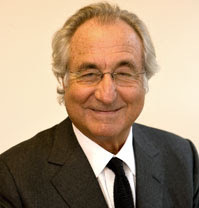 Subprime problems (or Madoff’s) were not revealed by regulators, but by markets. Note, politicians are human, too. Capitalism and free markets are not ever-stable. They work precisely because they compel folks to take risks and seek to create excess value out of existing capital, in whatever form that might be. They’re examples of constant change and innovation. Change isn’t always comfortable—and much of it will fail—but when it moves society in a more efficient direction, society certainly becomes more profitable. During crises, the balance always tilts toward government and away from capitalism. This doesn’t mean capitalism is done. But such things are always said in times like these. For months now we’ve applauded coordinated government efforts to provide monetary and fiscal liquidity and stimulus to the shocked financial system and to provide much-needed confidence. We tend to draw the line, however, at government “ownership” of assets and/or direction of those funds. Government “solutions” can only carry the economy so far—it’s up to capitalism to drive real, sustained growth. That is, it’s up to the people who make an economy, not its turgid overseers. Q: Is it economically possible to simultaneously demand low electricity prices but no new generating plants, while using ever increasing amounts of electricity. Q: Is it economically possible to simultaneously have "open space" laws forbidding building while increasing "affordable housing"? Q: Is it economically possible to add the costs of government bureaucracies to the costs of medications and medical treatment have the the total cost of medical care go down? Q: Is it economically possible to have lower costs for medical care, or anything else, without sacrificing quality? "You want the impossible? You got it. Politicians don't get elected by saying "No" to voters. People can get the possible on their own. Politicians have to be able to offer the voters something that they cannot get on their own. The impossible fills that bill perfectly." As Thomas Sowell reminds us: "The first lesson of economics is that we live in a universe of scarcity, and we face tradeoffs. The first lesson of politics is to ignore the first lesson of economics." From Congressional Motors: All new for 2012, the Pelosi GTxi SS/Rt Sport Edition is the mandatory American car so advanced it took $100 billion and an entire Congress to design it. How is it that successful executives become so unsuccessful as soon as they move to Detroit? Also, how can we explain that whenever GM, Ford and Chrysler leave our shores, they compete well in Europe, South America and China? What makes them viable competitors as soon as they cross the border? The most striking difference appears to be that the Detroit Three are unionized, and the foreign transplants are, overwhelmingly, not. Yet the issue can't just be about wage rates. The foreign transplants pay well, and the UAW has given significant concessions in recent bargaining. It is perhaps the mode of doing business in a unionized company that remains a crippling disadvantage. The UAW is arguably the most successful industrial union of all time. But its very strength has allowed it to permeate into every aspect of manufacturing in the Detroit Three. 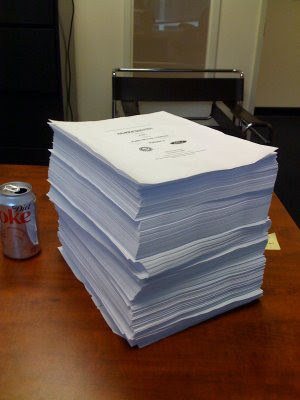 The collective bargaining agreement with the UAW is a heavily negotiated document the size of a small telephone book (see the Ford-UAW 2007 contract pictured above). It is virtually identical for each of the Detroit Three, but it doesn't exist at all in their U.S. competition, the nonunionized transplants. Not only work rules, but fundamental business decisions to sell, close or spin-off plants are forbidden without permission. That permission may come, but only at a price, since everything that affects the workplace must be negotiated. Both the UAW and the Detroit Three maintain large staffs of lawyers, contract administrators, and financial and human-resources representatives whose principal job is to negotiate with the other side. These staffs are at all levels, from the factory floor to corporate headquarters and the UAW's "Solidarity House" in downtown Detroit. The collective bargaining agreements are now renegotiated every four years; in each negotiation the power and penetration of the union grows. If the company asks to change the flow of work for any reason, from cost-savings to vehicle improvements, the local union president will listen politely, and then say something like, "We can help you with this, but what's in it for my guys?" In an environment of downsizing, the problem is exacerbated, as the entrenched bargaining structure causes innumerable inefficiencies. Typically each plant or warehouse is a "bargaining unit" and has a union president, who has a staff. If the company consolidates facilities, there will be no need for two presidents and two staffs. Since neither president wants to play musical chairs, they will both point to the bargaining agreement and resist consolidation. As a result, unnecessary facilities are not sold, but kept open, lit and heated, just to preserve a redundant bargaining-unit president and his team. As the Obama administration takes the helm, the key political question is whether the Democratic Party, which has so benefited from union support, will have the courage to push the UAW into a more reasonable relationship with the Detroit Three. Namely, a relationship in which employee relations and entitlements approximate those found in the "financially viable" sector of the U.S. automotive industry -- i.e., the foreign transplants. If the Obama administration does not force the UAW to make further concessions, it will not be able to save the Detroit Three. Many consumers face a dilemma on what to do with unused gift cards. If you’ve ever received a gift card to a store you don’t particularly care for, you know this feeling. While there are options on the internet to sell or exchange gift cards with other gift card holders, many consumers are not comfortable with selling, exchanging, or buying gift cards from someone they don’t know. That is where GiftCardRescue.com comes in. You can sell or exchange your unused gift card directly with us. What’s more, when you exchange your gift card with us, we will send you a brand new gift card of your choice (which you select from our list of popular gift cards). This makes re-gifting of gift cards easy and more exciting. We also sell gift cards at discounts of up to 20% off. One of the most important but underreported financial indicators is the CBOE’s Volatility Index (^VIX), which measures the market’s expectation of future volatility in stock prices. (The CBOE has written a nice technical paper describing how it is calculated here.) Traditionally, the annualized volatility of the S&P 500 has been 20%, but in both October and November the VIX reached an apocalyptic 80%. The huge drop in stock prices is bad, but it would be a lot better if the market thought that the major gyrations were mostly in our past. So the good news is that the volatility index has retreated to 45% (see chart above). Now, 45% is still more than twice what it “should” be. But it’s at least moving in the right direction. When it drops below 30%, it will be a strong indication that the market correction is complete and we’re back to business as usual. Markets In Everything: Wearing A T-Shirt for Profit or "Selling the Shirt Right Off Your Back"
Hi, my name is Jason. In this up and down economy I’m outsourcing my wardrobe (namely shirts) to corporate america and you! I’m going to wear a different shirt for 365 days straight in 2009, take multiple pictures throughout my day and blog about it. Days are sold at “face value” so January 1 is $1 and December 31 is $365. Check it out at IWearYourShirt.com. Gas prices reached a new 2008 low of $1.61 per gallon, which is the lowest inflation-adjusted price since March 2002 (using EIA data), as real gas prices approach a 7-year low. From the $4.12 per gallon peak in July, American consumers and businesses are now saving $357 billion on an annual basis from the cost savings of lower gas prices, or almost $1 billion per day. NEW YORK (AP) — Shipments of notebook computers edged past desktop sales in the third quarter for the first time, according to data from the research firm iSupply. Preliminary figures for the quarter show notebook PC shipments shot up 40% from the same period a year ago to 38.6 million. Meanwhile desktop shipments fell 1.3% to 38.5 million. The numbers underscore a broader shift toward portable computing as more functions like e-mail and Web surfing migrate to mobile phones and the popularity of inexpensive "netbooks" used mainly for Internet access grows. The research firm IDC also predicted this month that sales of laptops would fair better amid a deepening recession - portable PC shipments will grow by 15.2% in 2009, while expecting a 6.7% decline for desktops and servers using PC microprocessors. NEW YORK - Economic cycles are Darwinian, picking off weak companies and leaving survivors stronger. A year into the recession, solid retailers have their pick of mall space. Respected banks are getting an influx of deposits. Tech companies with money to spend are having an easier time hiring. It has been a year of brutal losses. More than 1.2 million jobs have vanished. The broadest measure of the stock market, the Wilshire 5000, is down more than $7 trillion, a 40% slide. Corporate survivors, however, should benefit as competitors disappear. Retailer Bed Bath & Beyond will not have to contend with Linens 'n Things, which is in liquidation. Best Buy may not be fighting price wars with Circuit City, which is reorganizing in Chapter 11 bankruptcy. FedEx will not scrap for market share against DHL Express, a German-owned company that is leaving the United States. Staying in business will not be easy - sales declines are a given and job cuts are likely to continue. But the United States will not remain in the dumps forever, and the companies that will be best positioned when the economy eventually improves may include these examples: Kohl's, Wal-Mart, McDonald's, Wells Fargo, Delta, Google, AT&T, Verizon. Monthly oil prices in 2007 and 2008. Great Depression II? We're still a long, long way away, see chart above of monthly unemployment rates, from 2007.1 to 2008.11 and 1931.12 to 1935.12. Great Depression II? We're still a long, long way away, see chart above of annual industrial production growth rates, monthly from 2007.1 to 2008.11 and 1930.1 to 1933.12. Update: Data are available here, the annual growth rate is calculated as the percent change from the same month a year ago. MY WAY -- Retail gasoline prices tumbled Friday to the lowest level in nearly five years. And while crude futures rose, analysts believed it was a temporary pause in an extended, downward arc as the recession spreads. "We're paying about a billion dollars per day less than we were in July" for gasoline, said Tom Kloza, publisher and chief oil analyst at Oil Price Information Service. "We could probably bail out some banks and maybe even some of the auto companies with the savings." At the pump, retail gas prices fell six-tenths of a penny overnight to a new national average of $1.642 a gallon Friday, well below the year-ago average of $2.981 a gallon, according to AAA and the Oil Price Information Service. The last time retail prices dipped this low was in February 2004, Kloza said. A new hostel in a converted jumbo jet means you can enjoy all the fun of flying without leaving the ground. A good deal of Boehlert's indignation is based on the fact that labor costs as calculated include pension and medical benefits to retired workers. He regards this as obviously wrong, since the money isn't being paid to the current workers. But it isn't that simple. The cost of pensions is incurred when the worker is employed but paid when he retires. If labor costs only count what is currently paid to current workers, the cost of pensions will be left out, substantially understating both the benefit to the auto worker and the cost to the company. Ideally, the calculation should be done using costs when incurred. But pension and medical costs are not known when they are incurred, since at that point the company does not know when the worker will retire, how long he will live thereafter or what his medical costs will be. So the choice is either to use a current estimate of the future cost of benefits to current employees or a current figure for current cost of benefits to past employees. Neither gives a reliable figure for the future cost currently being incurred and it is not obvious which is better. Happy Holidays from sunny Jacksonville Beach, Florida. 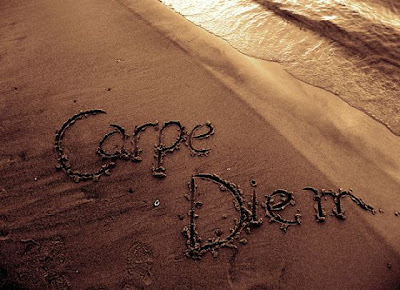 Thanks for your support over the last year and the 1.25 million visits to Carpe Diem this year. Special greetings to any Cretin-Derham Hall alumni directed here from the "Traditions" article. BLOOMBERG -- American consumers and health insurers saved about $1 billion on generic drugs this year as “fierce” competition among drugmakers and pressure from insurers lowered prices. Total spending on generic drugs fell 2.7% to $33 billion in the 12 months ended in September, the biggest decline in at least a decade, the health research firm IMS Health reported. The average price manufacturers charged wholesalers for the copycat pills fell 8% while demand increased 5.4%, IMS said. The surge in use was driven by a flood of new generic drugs that entered the market this year after patents expired on $16 billion worth of medicines. At the same time, insurers and retail pharmacies are pressuring generics makers to cut prices as they compete against each other. The trends are likely to accelerate through 2012 as half the current 20 top-selling pills get competition from generic copies, which can cost 70% less than their brand-name counterparts. CAMARILLO, Calif. (AP) - The average national price of gasoline fell 9 cents in the past two weeks, bringing it to its lowest point in nearly five years, according to a national survey released Sunday. The average price of regular gasoline Friday was $1.66 a gallon, oil industry analyst Trilby Lundberg said. The last time gas prices dipped so low was in February 2004, Lundberg said, when the national average for regular was also around $1.66 a gallon. The all-time high was on July 11, 2008, when the price peaked at $4.11 a gallon. MP: In inflation-adjusted dollars, real gas prices are at a six-year low, reaching the lowest level since December 2002 (see chart above), according to real gas price data from the EIA. The $2.45 per gallon decline to the current $1.66 from the $4.11 July peak represents annual savings for American consumers and businesses of almost $350 billion (each penny decrease saves consumers about $4 million per day, or $1.4235 billion annually). Most bubbles are the product of more than just bad faith, or incompetence, or rank stupidity; the interaction of human psychology with a market economy practically ensures that they will form. In this sense, bubbles are perfectly rational—or at least they’re a rational and unavoidable by-product of capitalism (which, as Winston Churchill might have said, is the worst economic system on the planet except for all the others). Technology and circumstances change, but the human animal doesn’t. And markets are ultimately about people. Here are three thoughts about bubbles that I hope we all can keep in mind. 1. Bubbles are to free-market capitalism as hurricanes are to weather: regular, natural, and unavoidable. They have happened since the dawn of economic history, and they’ll keep happening for as long as humans walk the Earth, no matter how we try to stop them. We can’t legislate away the business cycle, just as we can’t eliminate the self-interest that makes the whole capitalist system work. We would do ourselves a favor if we stopped pretending we can. 2. Bubbles and their aftermaths aren’t all bad: the tech and Internet bubble, for example, helped fund the development of a global medium that will eventually be as central to society as electricity. Likewise, the latest bust will almost certainly lead to a smaller, poorer financial industry, meaning that many talented workers will go instead into other careers—that’s probably a healthy rebalancing for the economy as a whole. The current bust will also lead to at least some regulatory improvements that endure; the carnage of 1933, for example, gave rise to many of our securities laws and to the SEC, without which this bust would have been worse. 3. We who have had the misfortune of learning firsthand from this experience—and in a bust this big, that group includes just about everyone—can take pains to make sure that we, personally, never make similar mistakes again. Specifically, we can save more, spend less, diversify our investments, and avoid buying things we can’t afford. Most of all, a few decades down the road, we can raise an eyebrow when our children explain that we really should get in on the new new new thing because, yes, it’s different this time. ~Henry Blodget in the December issue of "The Atlantic"
Self-taught and left-handed, Igor Prado learned to play the guitar upside down and backwards (with the thinnest string on top), like blues legend Albert King. According to Alaron energy analyst Phil Flynn. NY TIMES -- So amid all the legitimate worries about deflation, it’s worth considering what may be the one silver lining in the incredibly bad run of recent economic news: The cost of living is falling. The cost of fruits, vegetables, clothing and vehicles are all dropping. Housing prices have been falling for more than two years, and a barrel of oil costs about $45, down from $145 in July. Jobs are disappearing, bonuses are shrinking and raises will be hard to come by. But the drop in prices, which isn’t over yet, will make life easier on millions of people. It’s possible, in fact, that the current recession will do less harm to the typical family’s income than it does to many other parts of the economy. Strange as it sounds, the drop in prices will keep real incomes — inflation-adjusted incomes — from dropping too much. MP: The graph above shows annual CPI inflation, which fell to a 43-year low of 1% in November. When she came to power in May 1979, the British economy, by every measure, was in worse shape than the U.S. economy is today. Inflation was out of control. Unemployment was high and rising rapidly. Job creation had been at a total standstill for almost a decade and a half. By sticking to her policies of lightened regulation, reduced trade barriers, privatization of a raft of publicly owned companies, reduced taxation, and the adoption of laws to prevent abuses of union power, Mrs. Thatcher achieved something few if any of today's economists have begun to consider. She achieved a genuine, productivity-led recovery that transformed Britain from perennial basket case into the Europe's most improved and vibrant economy. U.S. policy makers and professional economists should study her example in order to turn this time of crisis into useful and enduring change. As she herself said, "Economics is too important just to be left to the economists." Thatcherite principles remain as valid as ever. The freedom of the marketplace is still the only effective mechanism for eliminating poor business practices, identifying productive investment, and providing long-term growth. Ford's State-of-the-Art Factory in Brazil: A Model for the Big 3's Survival. But The UAW Hates It. DETROIT NEWS--This state-of-the-art manufacturing complex in northeast Brazil is one of the most advanced automobile plants in the world. It is more automated than many of Ford's U.S. factories, and leaner and more flexible than any other Ford facility. It can produce five different vehicle platforms at the same time and on the same line. At Camaçari, more than two dozen suppliers operate right inside the Ford complex, in many cases producing components alongside Ford's main production line. Having those supplier operations on-site allows Ford to take the concept of just-in-time manufacturing to a whole new level. Inventories are kept to a bare minimum, or dispensed with entirely. Components such as dashboard assemblies flow directly into the main Ford assembly line at the precise point and time they are needed. "South America is kind of the global sandbox for a lot of automakers to try out new methods," said Michael Robinet, vice president of global vehicle forecasts for CSM Worldwide. "Ford was able to think out of the box, and it's paying off for them." Unlike many U.S. auto plants, where workers' responsibilities are strictly limited to specific job classifications, workers are encouraged to learn as many different skills as possible. Watch a fascinating video here of Ford's Camaçari plant. So who could possibly object to having the most advanced, leanest, most flexible, state-of-the-art Ford facilities like the Camaçari plant built here in the U.S., especially if it could help Ford and GM survive and become more profitable? Ford sources said it is the sort of plant the company wants in the United States, were it not for the United Auto Workers, which has historically opposed such extensive supplier integration on the factory floor. MP: It's not just above-market UAW wages and benefits, along with overly generous lifetime pensions and health care coverage that have all contributed to pushing the Big Three to the brink of bankruptcy. It's also the outdated work rules, multiple job classifications, and union inflexibility and resistance to greater efficiency that have crippled the Big Three (see the 22 pound, 2,215 page UAW-Ford contract here). Isn't it sad that U.S. automakers like Ford have to go 5,000 miles away to "the global sandbox" Brazil to try out new production methods, instead of introducing cutting-edge, state-of-the-art technology here in the U.S.? Even if GM and Chrysler reduce wages and benefits to competitive levels as part of the $17.4 billion bailout, they still might not survive in the long run if they are prevented by the UAW from introducing lean, flexible, state-of-the-art technology inside the U.S., like Ford has been able to introduce outside of the U.S. The challenges faced today by the global economy and financial system are staggering. For the United States, all economic indicators point to an economic downturn that will at least rival any in the post-war period. However, all historical analogies are imperfect. The world changes too much over periods of decades, particularly economies powered by constantly changing technologies, to find a precise fit for any historical parallel. While there are admittedly some similarities between today’s environment and the 1930s, those similarities do not mandate that the world is predestined to follow a path into a decade-long depression. The dramatic response by central banks and governments around the world faces challenges and potential ill side-effects of its own. But this response underscores that we are living today in very different times than the world experienced 80 years ago, and it may serve investors well to take those differences into account. 1. Cut "legacy obligations." Congress lectures Detroit about a one-time loan of $15 billion, yet year after year Congress hands $10 billion to corporate farmers. And that's only one of hundreds of institutionalized pork-barrel projects. 2. Overhaul civil service. Civil-service rules make hiring an ordeal and firing practically impossible. Rigid job classifications are far more onerous than UAW work rules, guaranteeing massive inefficiency. The federal government employs about 2.5 million civilians, about 10 times the number directly employed in the U.S. by Detroit. The bloat is legendary. 3. 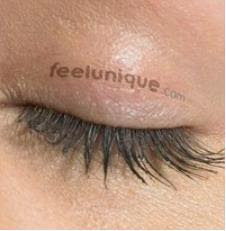 Impose change from the outside. Entrenched cultures rarely fix themselves. That's more true with Washington than with Detroit -- Washington does not have Toyota or Honda pushing it to compete and innovate. President-elect Barack Obama is committed to change, but, like his predecessors, he will find himself nibbled to exhaustion by thousands of special interests. THE HILL - A crumbling economy, more than 2 million constituents who have lost their jobs this year, and congressional demands of CEOs to work for free did not convince lawmakers to freeze their own pay. Instead, they will get a $4,700 pay increase (from $169,300 to $174,000), amounting to an additional $2.5 million that taxpayers will spend on congressional salaries, and watchdog groups are not happy about it. Note that 7 out of these 10 countries are also in the bottom 10 countries for life expectancy, see CD post here. Wyoming recorded the largest over-the-year percentage increase in employment(+2.8%, +8,200 jobs), followed by Texas (+2.1%, +221,000 jobs), North Dakota (+1.4%, +4,900 jobs), and Oklahoma (+1.1%, +17,200 jobs), South Dakota (+1.1%, +4,300 jobs) and Alaska (+1.1%, +3,400 jobs), see chart above (click to enlarge). Together, those six states have added 259,000 jobs in the last year (Nov. 2007 to Nov. 2008). One feature those states have in common is that they are all "Right to Work" states, except for Alaska which is a "Forced Unionism" state. The average 30-year fixed mortgage rate fell to an all-time historic low of 5.19% today, according to data available from the FHLMC (Freddie Mac), see news reports here and here. These historic low mortgage rates should be important "mustard seeds" that will help the real estate market recover and heal. Watch for the Housing Affordability Index to reach historical record highs in the coming months. Update: Historical data to 1971 available here. Eloquent. Extraordinary. Timeless. Paradigm-shifting. Classic. 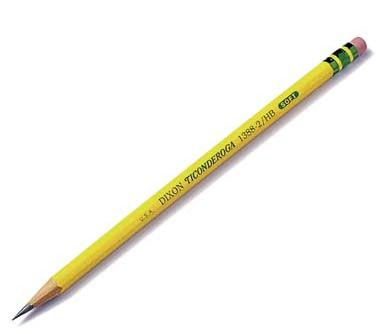 Half a century after it first appeared, Leonard Read’s 'I, Pencil' still evokes such adjectives of praise. Rightfully so, for this little essay opens eyes and minds among people of all ages. Many first-time readers never see the world quite the same again. ~Foundation for Economic Education president Lawrence Reed, on the 50th year anniversary of the free market classic "I, Pencil." INDIANAPOLIS - Searching for a truly original holiday gift, one that could bestow a bit of immortality on a loved one or a friend? 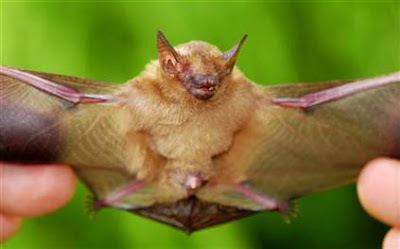 If so, Purdue University has the goods: The school is auctioning the naming rights to seven newly discovered bats and two turtles. Winning bidders will be able to link a relative, friend or themselves to an animal's scientific name for the ages. Last year, Conservation International auctioned the naming rights to 10 new fish species during a gala "Blue Auction" in Monaco that raised more than $2 million for the Washington, D.C.-based conservation group. The highest winning bid was $500,000 for the honor of naming a new species of "walking" shark. BBC (January 2007) -- Michigan agreed to give Ford Motor $300m to keep open six of its factories in the state. The move, which amounts to subsidies of about $23,000 per worker, could help safeguard 13,000 jobs in the state. Ford cannot guarantee that it will create any new jobs, nor offer a guarantee that it will continue to employ all of its existing workforce. This is in contrast to similar deals where states offer car companies incentives to build car factories specifically to create new jobs. MP: At least when the foreign transplants receive state subsidies, they usually create a net increase in jobs. It appears that Ford received $300 million in 2007 from the state of Michigan even though there's been a net loss of Ford jobs in Michigan over the last few years. NY TIMES (August 12, 1997) -- The Chrysler Corporation has become the latest company to negotiate extensive tax breaks and other government incentives, winning concessions totaling $232 million (MP: $307 million in 2008 dollars), or about $47,000 for each job retained, for building a Jeep assembly plant in Toledo, Ohio. Never mind that the new factory will have 600 fewer jobs than the one it replaces, that unemployment rates are at record lows and that Chrysler planned to stay within 15 miles of Toledo -- possibly somewhere in Michigan -- even if it had abandoned its downtown site. Cities, like workers themselves, remain eager to hold onto jobs in this era of downsizing. City and state tax revenues paid by Chrysler and its workers would have plummeted had Chrysler moved out. This is not the first time Chrysler has gotten an incentive package to have a plant stay put. In 1992, Chrysler replaced an 85-year-old plant in Detroit with a $1 billion sophisticated factory where Jeep Grand Cherokees, the high end of the Jeep line, are built. Back then, the company received a package of financial incentives worth more than $250 million ($378 million in today's dollars). The Minneapolis Federal Reserve Bank argued that while the competition for jobs among states might shuffle jobs from state to state, it created no new jobs nationally. The bank argues that Congress, which has the authority to regulate interstate commerce, should deter such competition by taxing as income the special deals offered to companies like Chrysler. 1. April 18, 2005 marked the 10th anniversary of The Michigan Economic Growth Authority (MEGA), a program established by Michigan government with the mission of spurring in-state job creation and business investment. The authority is the state of Michigan’s agent for selecting firms to receive Single Business Tax credits in return for creating new facilities and jobs in Michigan. 2. The incentives offered through MEGA packages total more than $3 billion since the beginning of the program (through 2005). These incentives include state tax credits, local abatements and other state and local inducements, such as job training and road improvements. 3. The largest local incentive was $165 million over 25 years to General Motors in June 2000. General Motors has been the direct beneficiary of six MEGA deals, by far the most of any corporation. Additional MEGA deals have been concluded with GM suppliers as part of an overall package benefiting GM. Here's an example of one MEGA deal that provided GM with almost $100 million of incentives in 1999 ($127 million in today's dollars) to build a new Cadillac factory in Lansing, Michigan (thanks to Jim for the link). Bottom Line: It's not just the foreign transplants that have received generous state subsidies for building new plants; Michigan has doled out $3 billion of taxpayer money to attract business investment, and GM and Ford have both been the recipients of Michigan taxpayers' largesse. What Would D. Crockett Say About Bailout Nation? It is not the amount that I complain of; it is the principle. The power of collecting and disbursing money at pleasure is the most dangerous power that can be intrusted to man, particularly under our system of collecting revenue by tariff (Note: There were no income taxes in the 1800s when this was written, most government revenue came from tariffs), which reaches every man in the country, no matter how poor he may be, and the poorer he is the more he pays in proportion to his means. If you have the right to give to one, you have the right to give to all; and, as the Constitution neither defines charity nor stipulates the amount, you are at liberty to give to any thing and everything which you may believe, or profess to believe, is a charity, and to any amount you may think proper. You will very easily perceive what a wide door this would open for fraud and corruption and favoritism, on the one hand, and for robbing the people on the other. No, Congress has no right to give charity. Individual members may give as much of their own money as they please, but they have no right to touch a dollar of the public money for that purpose. Update: These were the words of Horatio Bunce, a constituent of Davy Crockett. We are told that the collapse of the Big 3 automakers in Detroit would have repercussions across the country, causing mass layoffs among firms that supply the automobile makers with parts, and shutting down automobile dealerships from coast to coast. 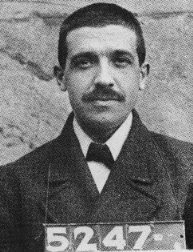 A renowned economist of the past, J.A. Schumpeter, used to refer to progress under capitalism as "creative destruction"-- the replacement of businesses that have outlived their usefulness with businesses that carry technological and organizational creativity forward, raising standards of living in the process. Indeed, this is very much like what happened 100 years ago, when that new technological wonder, the automobile, wreaked havoc on all the forms of transportation built up around horses. For thousands of years, horses had been the way to go, whether in buggies or royal coaches, whether pulling trolleys in the cities or plows on the farms. People had bet their futures on something with a track record of reliable success going back many centuries. Were all these people to be left high and dry? What about all the other people who supplied the things used with horses-- oats, saddles, horse shoes and buggies? Wouldn't they all go falling like dominoes when horses were replaced by cars? Unfortunately for all the good people who had in good faith gone into all the various lines of work revolving around horses, there was no compassionate government to step in with a bailout or a stimulus package. They had to face reality, right then and right there, without even a postponement. Who would have thought that those who displaced them would find themselves in a similar situation a hundred years later? Actually the automobile industry is not nearly in as bad a situation now as the horse-based industries were then. There is no replacement for the automobile anywhere on the horizon. Nor has the public decided to do without cars indefinitely. While Detroit's Big 3 are laying off thousands of workers, Toyota is hiring thousands of workers right here in America, where a substantial share of all our Toyotas are manufactured. Detroit and Michigan have followed classic liberal policies of treating businesses as prey, rather than as assets. They have helped kill the goose that lays the golden eggs. So have the unions. So have managements that have gone along to get along. Toyota, Honda and other foreign automakers are not heading for Detroit, even though there are lots of experienced automobile workers there. They are avoiding the rust belts and the policies that have made those places rust belts. A bailout of Detroit's Big Three would be only the latest in the postponements of reality. While Washington tries to arrange a bailout, the Detroit 3 auto makers and the UAW keep insisting that bankruptcy would be the kiss of death. Not so: a Chapter 11 bankruptcy filing will likely result in a stronger domestic industry. General Motors is in need of Chapter 11 bankruptcy reorganization. It needs to shed labor contracts, retirement contracts, and modernize its distribution systems by closing many dealerships. This will give rise to many current and future liabilities that may be worked out in bankruptcy. It may need new management as well. Bankruptcy provides an opportunity to do all that. Consumers have little to fear. Reorganization will pare the weakest dealers while strengthening those who remain. So why do the Detroit Three managements and the UAW insist that "bankruptcy is not an option"? Perhaps because of the pain that would be inflicted upon both. The bankruptcy code places severe limitations on the compensation that can be paid to a manager unless there is a "bona fide job offer from another business at the same or greater rate of compensation." Given the dismal performance of the Detroit Three in recent years, it seems unlikely that their senior management will be highly coveted on the open market. Incumbent management is also likely to find its prospects for continued employment less-secure. Chapter 11 also provides a mechanism for forcing UAW workers to take further pay cuts, reduce their gold-plated health and retirement benefits, and overcome their cumbersome union work rules. The process for adjusting a collective bargaining agreement is somewhat complicated and begins with a sort of compulsory mediation process. But if this fails a company can (with court permission) nullify the agreement. This doomsday scenario is rarely triggered, however, as its threat casts a large shadow over negotiations, providing a stick to force concessions. Detroit and the public has little to fear from a bankruptcy filing, but much to fear from the corrupt bargain that is emerging among incumbent management, the UAW and Capitol Hill to spend our money to avoid their reality check. ~George Mason Law Professor Todd Zywicki in today's WSJ, "Bankruptcy Is the Perfect Remedy for Detroit"
In many ways Milton Friedman was a devil figure in my youth, in a Keynesian household of economists. I grew to see the issue as more nuanced as I was in school and ultimately have come to have enormous respect for Friedman's views on a range of questions. That's a respect that is born of the power of his arguments as one considers them more and more deeply. But it's a respect that's also born of the lessons of the experience of the success of decentralization in a place like Silicon Valley and of the failures of centralization in places like Central Europe and Russia. In many ways some of the ideas of Hayek and Friedman about how markets best provide incentives, and best provide information, and best collect information may in a sense be even more true today, because of the changes that information technology is bringing, than they were at the time when they were propounded. If you think about it, it cannot be an accident that it is the same 15-year period when communism fell, when command-and-control corporations like General Motors and IBM had to be drastically restructured, when planning ministries throughout the developing world were closed down, and when the Japanese model of industrial policy proved to be a complete failure. There is something about this epoch in history that really puts a premium on incentives, on decentralization, on allowing small economic energy to bubble up rather than a more topdown, more directed approach, that may have been a more fruitful approach in earlier years. MIT PRESS -- Minimum wages exist in more than 100 countries, both industrialized and developing. 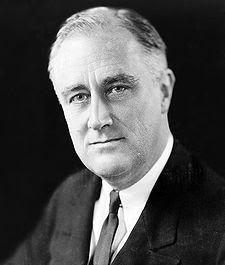 The U.S. passed a federal minimum wage law in 1938 and has increased the minimum wage and its coverage at irregular intervals ever since; in addition, as of the beginning of 2008, 32 states and the District of Columbia had established a minimum wage higher than the federal level, and numerous other local jurisdictions had in place "living wage" laws. Over the years, the minimum wage has been popular with the public, controversial in the political arena, and the subject of vigorous debate among economists over its costs and benefits. In a new book from MIT Press (pictured above), economists David Neumark (UC-Irvine) and William Wascher (Federal Reserve) offer a comprehensive overview of the evidence on the economic effects of minimum wages. 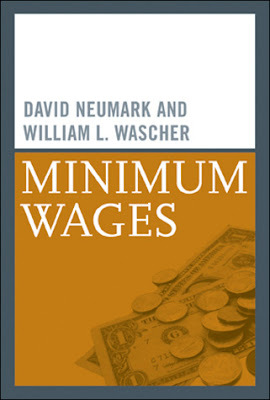 Synthesizing nearly two decades of their own research and reviewing other research that touches on the same questions, Neumark and Wascher discuss the effects of minimum wages on employment and hours, the acquisition of skills, the wage and income distributions, longer-term labor market outcomes, prices, and the aggregate economy. Arguing that the usual focus on employment effects is too limiting, they present a broader, empirically based inquiry that will better inform policymakers about the costs and benefits of the minimum wage. c) they appear to have adverse longer-term effects on wages and earnings, in part by reducing the acquisition of human capital. The authors argue that policymakers should instead look for other tools to raise the wages of low-skill workers and to provide poor families with an acceptable standard of living. WASHINGTON POST -- The Federal Reserve is widely expected this afternoon to cut interest rates for the 10th time in just over a year, driving the rate it controls close to zero as it continues the most sweeping effort to stabilize the economy in the history of the central bank. The federal funds rate, at which banks lend to each other, is already at 1%. The Fed is expected to drop it to half a percent, or even lower, at the end of its policymaking meeting today. That would be the lowest U.S. rate on record. MP: The Post article above illustrates some widespread confusion about: a) the TARGET Fed Funds rate (currently at 1%), and b) the ACTUAL Fed Funds rate (currently close to 0), see chart above (click to enlarge) using Fed data. The actual Fed Funds rate is determined by banks borrowing and lending bank reserves, so it generally a market-determined rate that can deviate from the intended target rate. The Post article should have said "The TARGET federal funds rate is already at 1%," and it could have been clarified that the ACTUAL rate at which banks actually lend to each other is closer to .25%, not 1%. Notice that in October when the target Fed Funds rate was 1.5% (blue line), the actual Fed Funds rate was about 1% (red line). For the last two months, the target Fed Funds rate was 1%, while the actual Fed Funds rate has ranged between about .50% and close to zero, probably averaging about .25%. At its meeting today, the FOMC is expected to cut its target Fed Funds rate again. But if the actual Fed Funds rate is already close to zero, will it really have any effect? Can it really have any real effect? This guy will pay $200 for an interview with an HR manager (20 minute minimum), $400 for an interview with a Director or VP, and $800 for an interview with a President or CEO, here's his interview fee schedule, here's his resume (BA in Business and Economics), and here's his main website. Posted on Chicago Boyz blog, hat tip to Nicholas Bretagna II. Since the financial crisis began in August 2007, the federal government has become increasingly involved with U.S. banks and other financial institutions and U.S. financial markets. The Federal Reserve has greatly expanded the size, duration, and scope of its credit facilities. The Department of the Treasury has agreed to 1) inject up to $100 billion of taxpayer funds into Fannie Mae and $100 billion into Freddie Mac, 2) purchase up to $250 billion of preferred shares in banks, and 3) purchase $40 billion of preferred shares in AIG. Now, Chrysler, Ford, and General Motors along with the UAW are seeking emergency financing to help these automakers avoid bankruptcy reorganizations. Information problems. The knowledge necessary to allocate capital efficiently is widely diffused throughout the global economy and costly to obtain. It is impossible for any one person or organization to acquire and to update constantly all of the information necessary to allocate capital efficiently in a complex economy. Unresponsiveness. A constitutional republic such as the United States places many restraints both legal and practical upon policymakers and bureaucrats. These restraints necessarily slow the response of policymakers or bureaucrats to changing conditions or prospects. Bias against entrepreneurship and innovation. With the political allocation of capital, there is a bias against funding entrepreneurship in emerging industries producing new goods and services using innovative technologies, and toward funding existing firms in established industries producing known goods and services using conventional technologies. The political allocation of capital discourages entrepreneurship, slows product and process innovation, and retards the development of new technologies. Political Bias for constituents. Under the political allocation of capital, the natural tendency of legislative policymakers to serve the special interests of their constituents may cause such policymakers to direct or at least to influence the flow of credit and investment to their constituencies. Resource diversion ("rent seeking"). The political allocation of capital encourages firms to devote management time and firm resources to lobbying activities to secure funding from policymakers or bureaucrats. Corruption and crony capitalism. Finally, the political allocation of capital may foster corruption. When policymakers and bureaucrats make credit and investment decisions, entrepreneurs and firm managers may be tempted to bribe policymakers and bureaucrats to secure funding for their firms or to prevent their rivals from securing funding. Conclusion. While the severity of the financial crisis may justify some of the recent federal interventions, these interventions, if not reversed once the crisis has dissipated, may retard the efficient allocation of capital in the United States and thus diminish its long-term growth prospects. In the video above, Cato Institute's Dan Mitchell explains why Keynesian economics sounds good but is fundamentally flawed, and why bigger government cannot stimulate the economy. Reason: Before government can inject money/spending into the economy, it first must take money out of the economy (borrow or tax), so the net result can never be anything more than an inefficient redistribution, shifting and transfer of income/spending from one group to another. 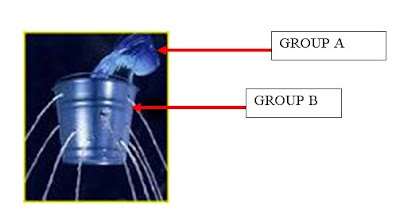 Kind of like transferring water from Group A to Group B, but with a leaky bucket (see picture below). When you just send out checks from the government (MP: implement a Keynesian stimulus), whoever gets stimulated is likely to be offset by someone who gets unstimulated. The money has to come from somewhere. If you raise taxes to fund the plan, the people who are taxed are poorer and they'll spend less. If you borrow money to fund the plan, the people who buy the government bonds have less money to spend and that offsets the stimulus. It's like taking a bucket of water from the deep end of a pool and dumping it into the shallow end. Funny thing—the water in the shallow end doesn't get any deeper. The general case for freedom in international exchange is like the case against putting sand in the gears of a machine. The economic case for Free Trade is quite the same as the case for technological progress. Both increase the output of useful goods and services that a country can get from its labor and resources. In particular, Free Trade, like improved transportation, promotes interregional specialization and increases through trade the results that a country gets from its productive powers. For many centuries, the English and the French languages, lacking formally binding rules, evolved spontaneously, inconsistently, and idiosyncratically. With the advent of the Enlightenment, attempts were made to end this state of linguistic anarchy by standardizing grammar and spelling, most notably through the creation of grammar books and dictionaries. This article deals with two of the most notable of the early dictionaries; the French dictionary created by the French Academy and the English dictionary created by Samuel Johnson. The two dictionaries were completed in different ways and at different speeds: the English dictionary was composed by a single man in seven years; whereas the French dictionary was composed by a body of 40 members in an agonizingly slow 55 years. This fact seems bizarre at first; many people, by dividing the work amongst themselves, surely should have been able to complete roughly the same task that one man was engaged in in less time than it took that one man. Yes, Samuel Johnson was a genius, but the French Academy also had its share of geniuses; even if we were to make the wild assumption that Samuel Johnson had the mental powers of ten Academicians, Johnson would still have been outnumbered by four to one; so surely genius alone cannot explain the vast anomaly. I suggest that much of the contrast can be explained by the ineluctable differences inherent in a collective, government-sponsored effort and in one that is individual and profit-making. MP: Never underestimate the power of self-interested profit-seeking activity. The invisible hand of self-interest is our most valuable resource. As Steven E. Landsburg remind us "It is something of a miracle that individual selfish decisions lead to collectively efficient outcomes." Update: Originally posted in September 2006.